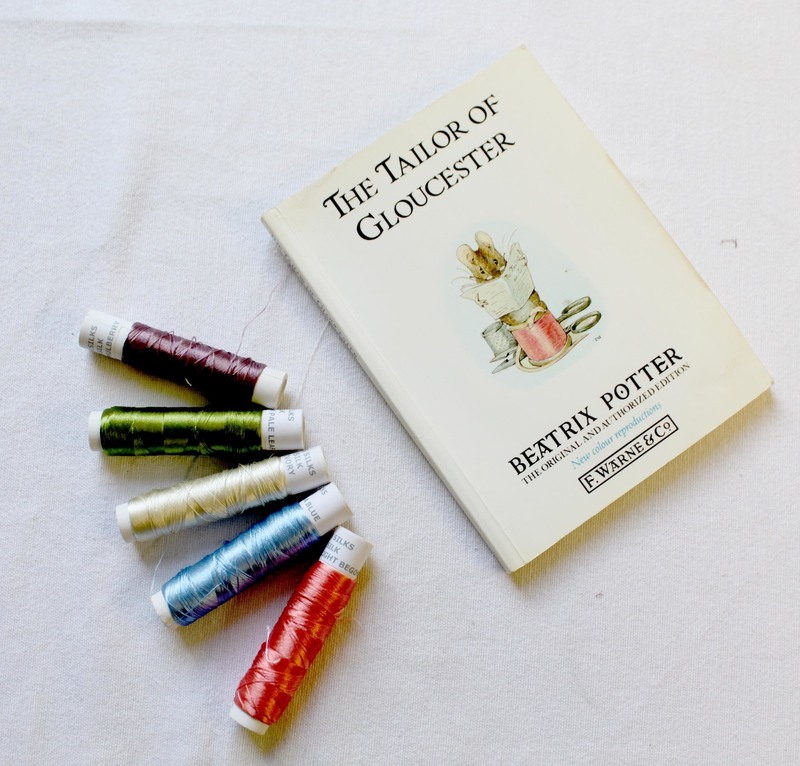 Most people will be familiar with the endearing Beatrix Potter story of ‘The Tailor of Gloucester’ but one man is taking his interest further and having his own version of the Mayor’s waistcoat made. 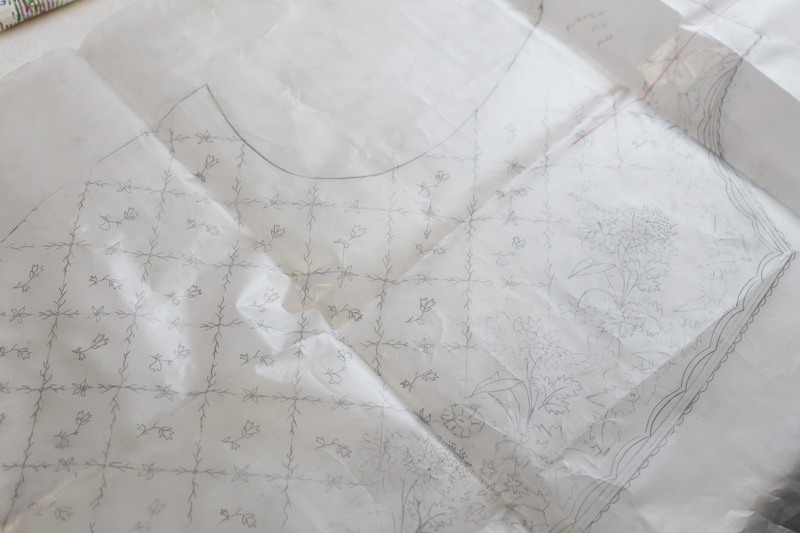 Under the meticulous cutting skills of the Henry Poole tailors and with a little help from ourselves on the embroidery, his interest will soon be a reality. 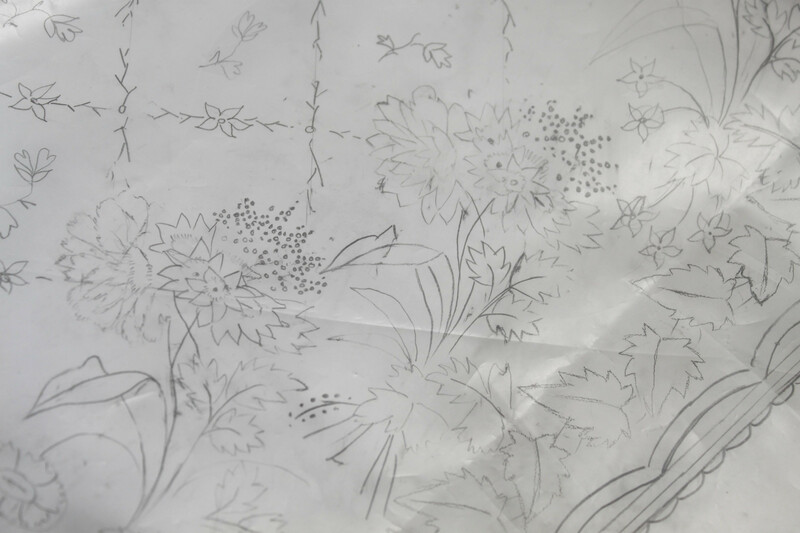 Much like the mice in the story, we have been busily working away on this project, translating the illustrations from the book into a draft, to be read as embroidery. 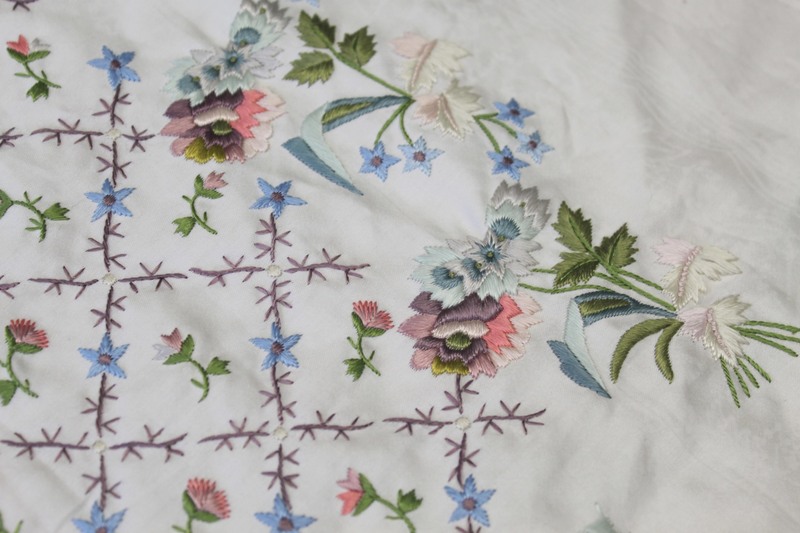 Using a combination of silk and chenille, the pieces have been embroidered as per the drafts to create a acurate interpretation of the images in the story. 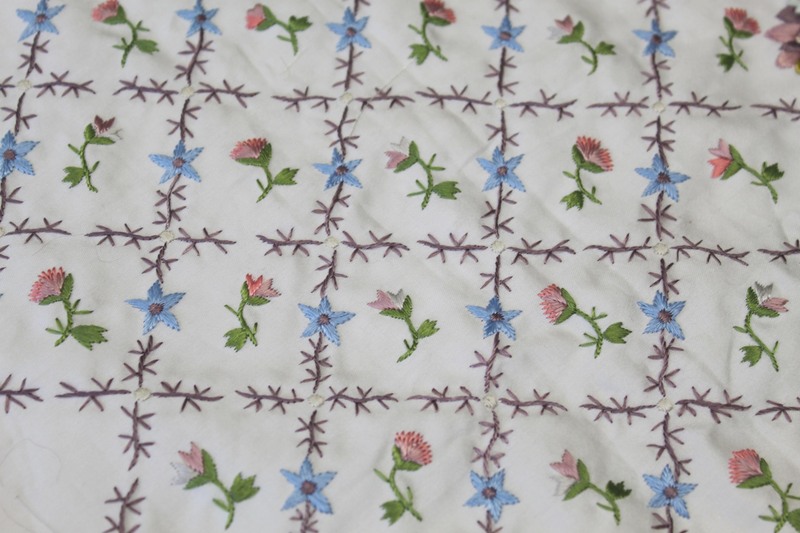 The heavier flower motifs sit around the edge of the pattern, whilst the centre is filled with a trellis like design. 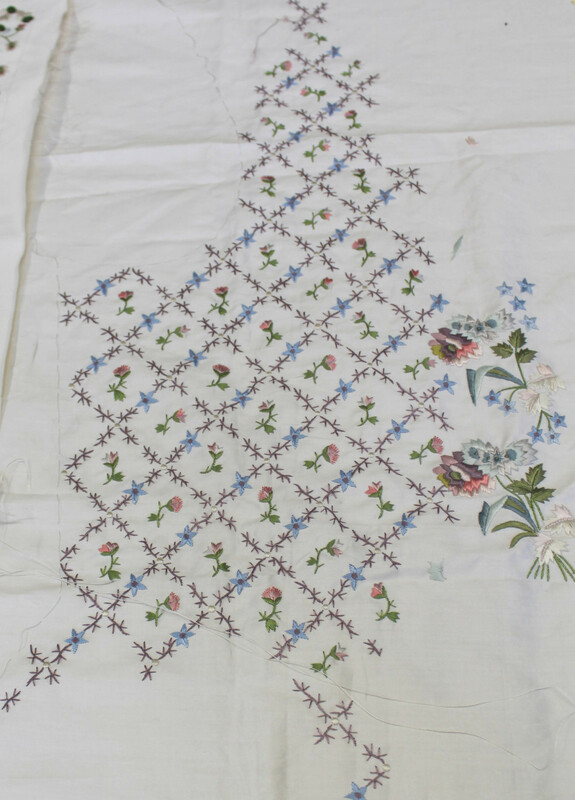 All the details have been taken into consideration, such is the level of commitment to the precision of this piece. 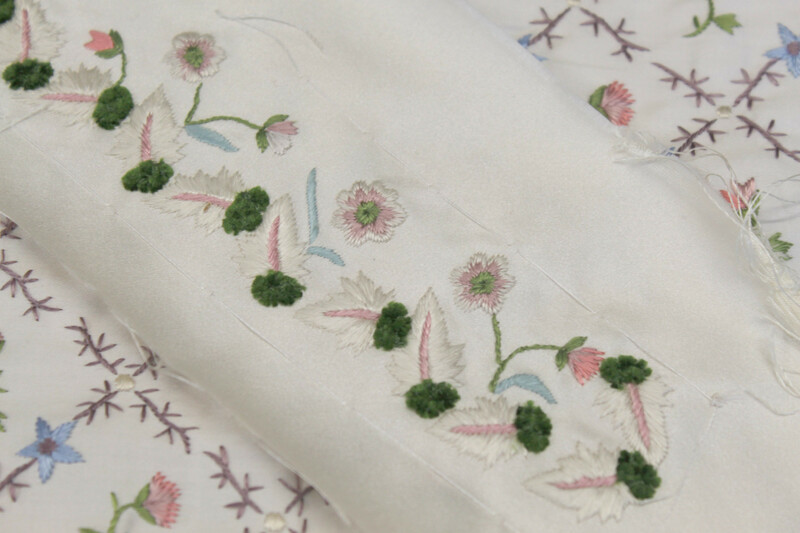 For example the buttons which you can see being embroidered below, these unlike the buttonholes, are not described in the story or illustrations so we had to provide a little creative licence on what they might have looked like. They are all lined up so that they can all be worked on simulaniouly to ensure consistency. 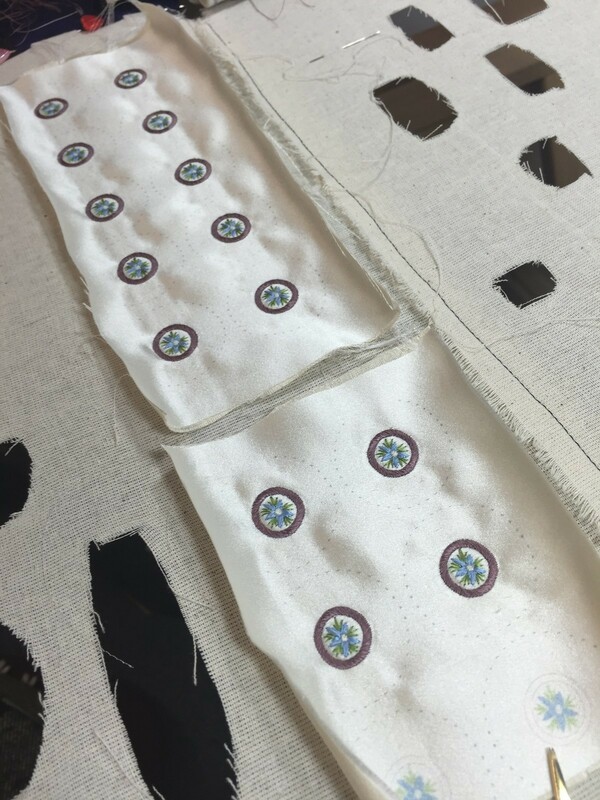 For each set of buttons, each colour is worked through that part of all the buttons before moving onto the next. This has been a really exciting and challenging project to work on as it is so well know, and with that comes a big responsibility to do it justice, but we are really pleased with the results so far and can’t wait to see it all made up. But upon the table- oh joy! 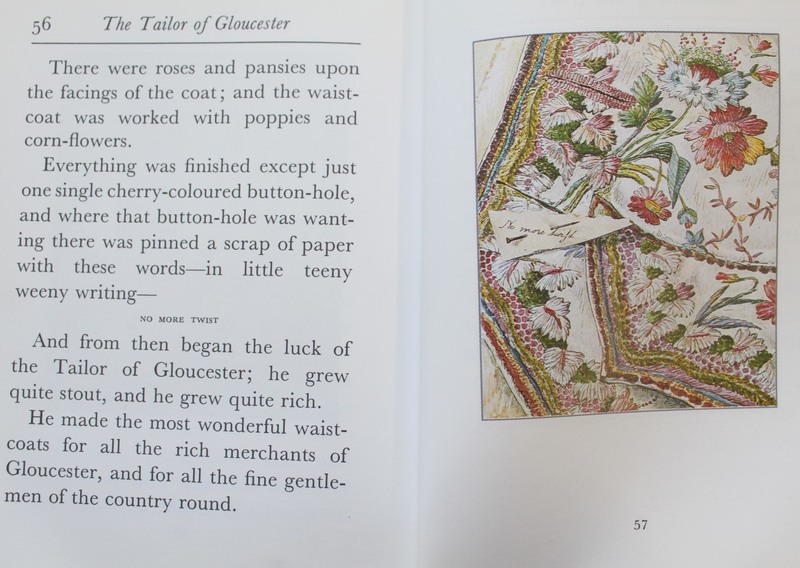 the tailor gave a shout- there, where he had left plain cuttings of silk- there lay the most beautifullest coat and embroidered satin waistcoat that ever were worn by a Mayor of Gloucester. 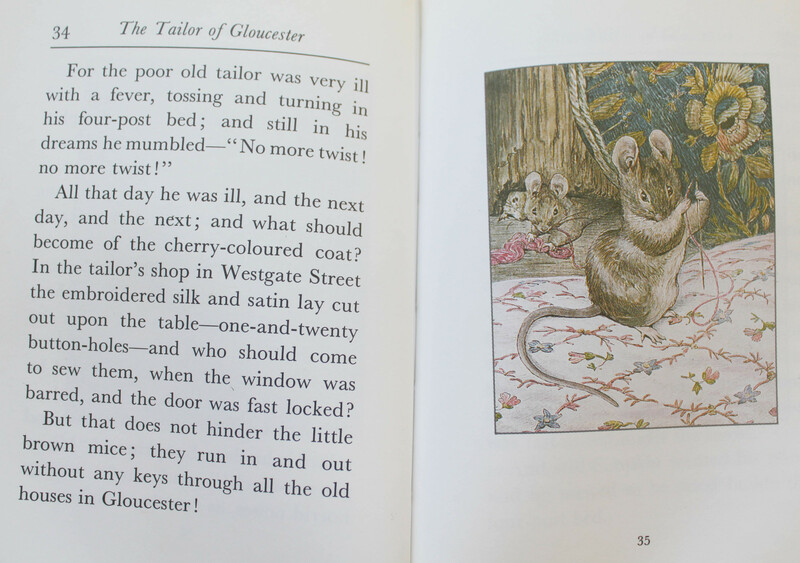 There were roses and pansies upon the facings of the coat; and the waistcoat was worked with poppies and cornflowers.